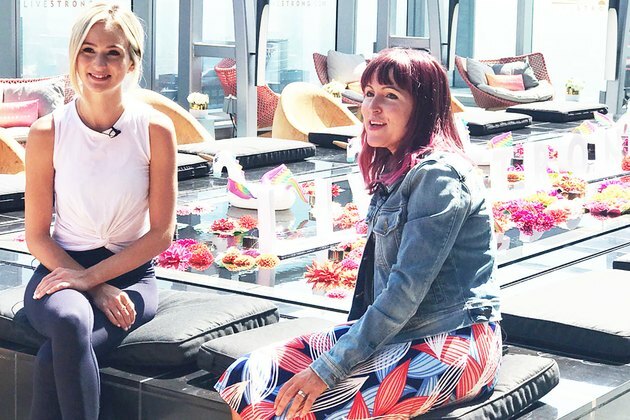 "The Bachelor" season 20 winner Lauren Bushnell sat down with LIVESTRONG.COM atop Spire 73 in downtown Los Angeles as part of our STRONGER Women interview series. We wanted to find out how Bushnell stays fit, how she deals with body shaming and criticism on social media and where her career is headed next. Also, does she have a new love in her life? And, is there even a gym in the "Bachelor" mansion? Because we're all about body positivity for people of all sizes at LIVESTRONG, we asked Bushnell about how she handled her recent experience of being "skinny shamed" on social media. She acknowledged that she always knew she was thin, but she didn't think there was anything wrong with her body. "You're under a microscope when you're in the public eye,'" Bushnell said. "I think my family gets a lot more defensive of me than I even do, because they're like 'No, that's just how she is -- we've known her for her whole life!'" Though Bushnell admitted she did expect some negative comments when she was in the spotlight on TV, she pointed out: "It doesn't feel good." Bushnell said she is now working out more with a goal to gain muscle. That's exactly what a STRONGER Woman would do, right? As for what's next with her career, Bushnell told us that she, her boyfriend (Devin Antin) and some of their friends are starting their own new rosé label called Dear Rosé. No way, rosé! It's like a letter to our favorite beverage! Bushnell mentioned that she had recently read LIVESTRONG's article on Is Rosé Wine Healthy? Bushnell told us: "There are a lot of stories to follow oftentimes with one too many glasses of rosé!" Indeed. We all have some of those stories, don't we?